The response to our Share Your GameTruck Story Contest on Facebook has been overwhelming and ego-boosting to say the least. 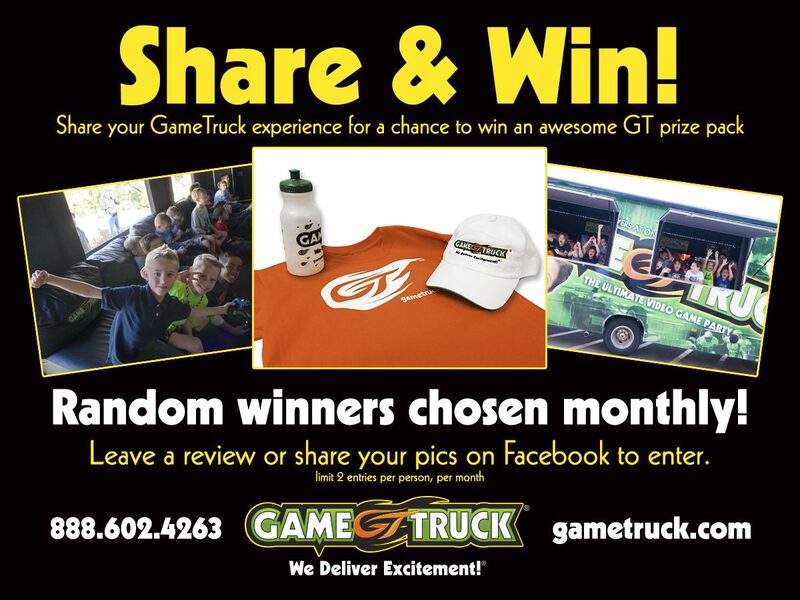 We have announced three (April, May, and June) Share Your GameTruck Story Winners and are excited to announce even more as you continue to share your stories with us. Check out our winners below and read what they have to say about their experiences with a GameTruck Party. GameTruck Long Island hosted a party for Meghan, one of the writers at Mommyish in August 2014. David Schwartz and Paul Bernieri, owners at GameTruck Long Island, helped make sure the event was booked and ready to go for Meghan and her family and friends. The GameCoaches that hosted the event made sure that everything went smoothly. As soon as the truck drove up the street we had kids jumping up and down with excitement. If you want to get kids excited for a party, driving a semi covered in graphics and large faces is a pretty surefire way to do it. Mommyish is a blog that takes parenting seriously and welcomes a wide range if perspectives on all topics related to being a parent. See Meghan’s review “10 Reasons A Party Truck Is A Fantastic Idea For Your Kid’s Party” below, originally posted on August 20, 2014 on Mommyish.com. Have you heard of a “Party Truck”? I had no idea such a thing existed until earlier this summer when I got an email from a company called GameTruck. They wanted to send us one to write about for Mommyish. The idea is pretty simple. You rent the truck for two hours and they show up at your door with games, entertainment and music. Basically, it’s a self-contained party that drives up to your door. GameTruck offers trucks with two different party options: laser tag and video games. I live in New York City, so the whole idea of laser tag/kids running around in traffic with guns thing didn’t appeal to me. However, I know a lot of 8-15 year olds who LOVE video games, so that seemed like an easy route to go. And yes, they LOVED it. At the end of the day, if you are anti-video game (or live somewhere that cannot fit a semi-truck), the GameTruck we got will not be your bag. But there are a lot of great things we found out about having a huge truck full of video games drive up to your house. 2. You Don’t Have To Do AnythingThe party begins when the truck shows up. It ends when it rolls away. As the day went on, I felt like a rockstar for answering a series of emails to schedule the truck. Other than that, all I did was show up. 3. Everyone Will Be SOOOO QuietHave you ever seen 10+ kids sitting quietly for nearly two hours? Everyone in attendance was so awestruck by the number of games on offer — and then excited about playing — that this was by far the calmest group of kids I have seen to date. 4. It Won’t Just Be Kids Sitting AroundThe truck we received had two TVs outside and a number of active games – including Dance Dance Revolution – which kept people entertained who weren’t inside the truck. 5. Adults Can Have Fun TooI’m pretty sure no one actually played Dance Dance Revolution properly the entire time we had the truck, but there was a lot of dancing and silliness and everyone loved it. Our party’s GameCoach was owner Erik. He or another GameTruck staff member serves as the Coach and manages each event, promoting fair, interactive play. He helped kids take turns, select games and calmly managed all the children’s wants and turns with complete patience. It was seamless. The other parents and I simply got to enjoy watching the kids play without any moderation. It was heavenly! Jessica is a mother of three and the voice behind A Parent in Silver Spring and A Parent in America. A Parent in Silver Spring is focused on activities and resources for families in Washington D.C.
See Jessica’s review, “GIVEAWAY: GameTruck Party (our family LOVED it! )” below, originally posted on August 14, 2014 on AParentInSilverSpring.com. My family and I received an offer from GameTruck of Howard County to host a GameTruck party for our children and 17 of their friends. Although no one had a birthday any time soon, we thought this was an incredible way to celebrate summer. 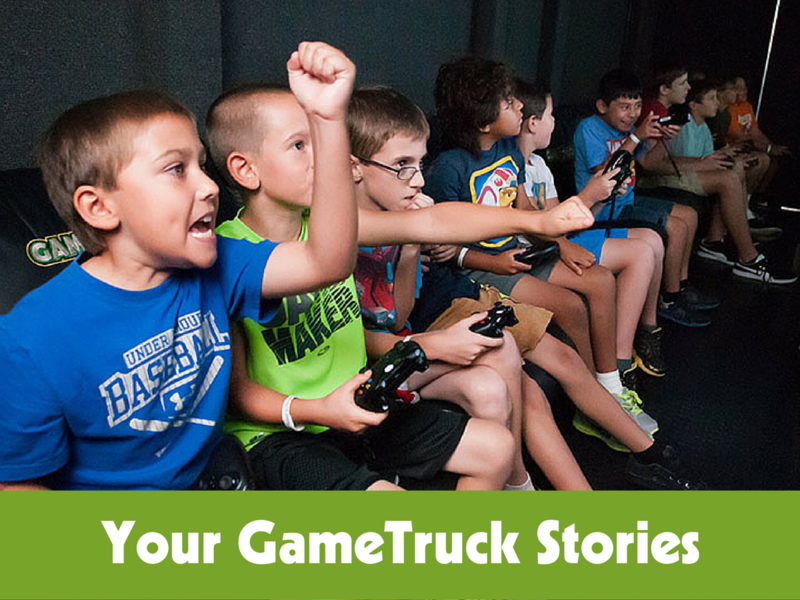 GameTruck offers a premier party experience in an interactive, multi-player environment that accommodates 16 or more players (the GameTruck Howard County vehicle can hold 20 kids.) Totally self-powered and climate-controlled, the GameTruck trailer was outfitted with comfortable seating, six flat-screen HDTVs, and enhanced sound systems. The parents and I LOVED how the truck offered these big gorgeous windows that lifted up to create an indoor-outdoor experience. We parents were hanging out outside the window and able to watch the kids play within. KidzBop music played on a sound system, contributing to the outdoor party feel.